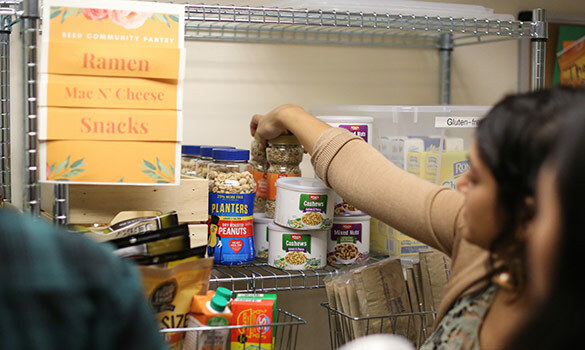 The Reed Community Pantry is a part of Reed College’s Food Security Initiative (FSI) program. 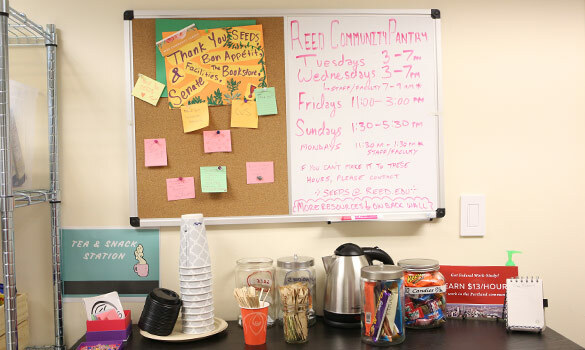 The RCP provides nonperishable food items, toiletries, hygiene products, clothing, books, and more at no cost to members of the Reed community. This resource is open to Reed students, faculty, and staff. Visit us and take what you need! The RCP is located in 042 of the Gray Campus Center (GCC). The RCP is open weekly during the hours listed above with adjusted hours during fall, winter, spring, and summer breaks. If you cannot access the RCP during these hours, please email seeds@reed.edu to schedule a separate time. Volunteer to staff RCP open hours on an ongoing basis. Would you like to be contacted for one-time volunteer opportunities? Add yourself to the list. You can contribute directly to FSI through the Giving to Reed website. In the “Comments and Reasons for Giving” section, please indicate that you would like your gift to go directly to 24530 (FSI). 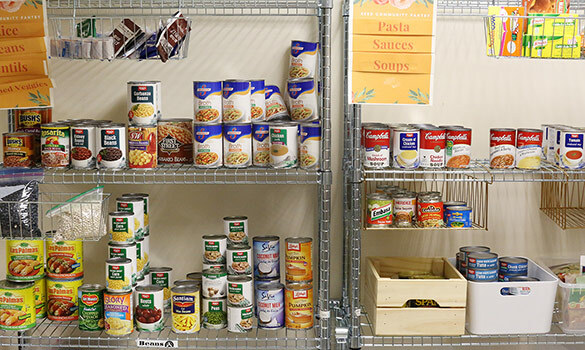 We accept nonperishable, unopened, and unexpired food and supply donations to the RCP during our open hours. We also accept clean clothes in excellent condition. If you cannot make it to open hours, contact seeds@reed.edu to arrange a separate drop-off time. 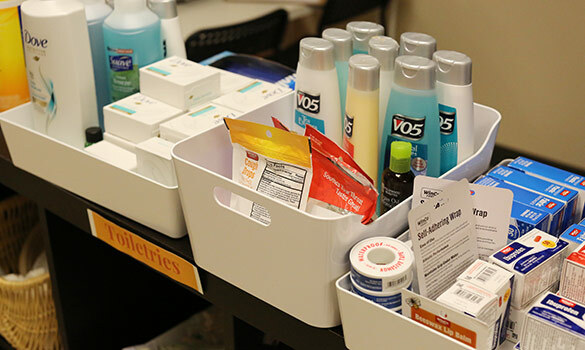 We can always use items such as medicine and first aid, menstrual products, disposable heat patches, healthy microwaveable meals, spices, soup, shelf-stable juice, and vitamins (especially D, C, B-12, calcium, and iron supplements). We have an Amazon Wishlist! You can purchase needed food and supplies from this list and have them sent directly to our office. 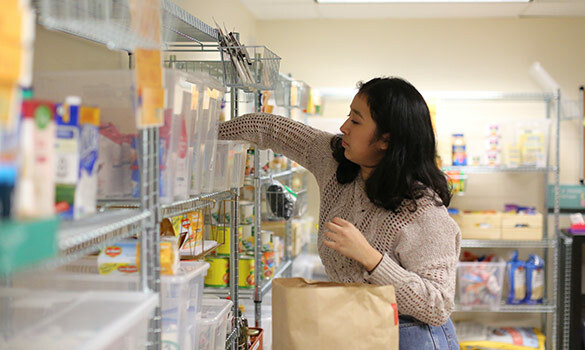 Would your office or department like to participate in a campus-wide food or supply drive for the RCP? Contact seeds@reed.edu for more information. To access the RCP, you'll need to show your Reed ID to our volunteer staff and complete our required waiver. We’ll ask if you’ve visited the RCP before and whether you’re interested in receiving information about additional on- and off-campus resources. Lastly, you'll be asked to complete an anonymous and optional demographic intake form, which includes an opportunity to provide feedback. If you've visited the pantry before, submit your feedback by completing this form. We strive to fulfill as many requests as possible within our budgetary and spatial limitations. 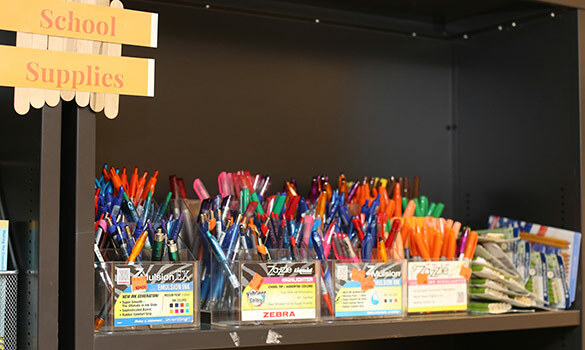 Please let us know if there are specific items you would like us to stock at the RCP.